THE RISING COST OF HEALTHCARE is one of the biggest threats to our Senior population. While life expectancy is increasing, they still seem to be outpaced by dramatically increasing healthcare costs. Conversely, the number of qualified senior healthcare workers remains low, with a high demand for this special skill set. With a little help our seniors can dramatically improve their quality of life! LET WI DELIVER A TAYLOR MADE SOLUTION FOR YOUR POPULATION! Service offerings are customized for each facility after an extensive fact-finding period. Understanding the objectives of the facility, as well as the needs and desires of residents allows us to present a customized solution that ensures success through measured improvement of financials, health and happiness! Neuromuscular Functional Movement, Brain Health, VO2max, Cardiology, Genetic & more! Integrative Medical, Physical & Occupational Therapy! Programs bounded only by creativity! Customized complete health, fitness, wellness and medical programs set up and managed for efficiency and engagement optimization. TAKE ADVANTAGE OF BUNDLED PROGRAMMING! 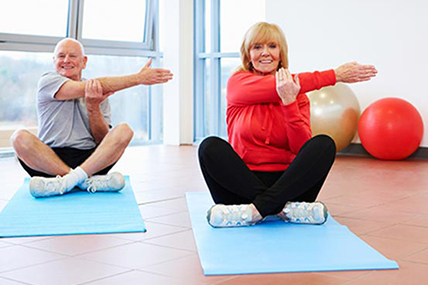 By bundling a variety of health, fitness and wellness services, your residents will be able to experience a wide array of programs and activities, at a reduced cost, dramatically improving quality of life.